Serial numbered for overnight key replacements. 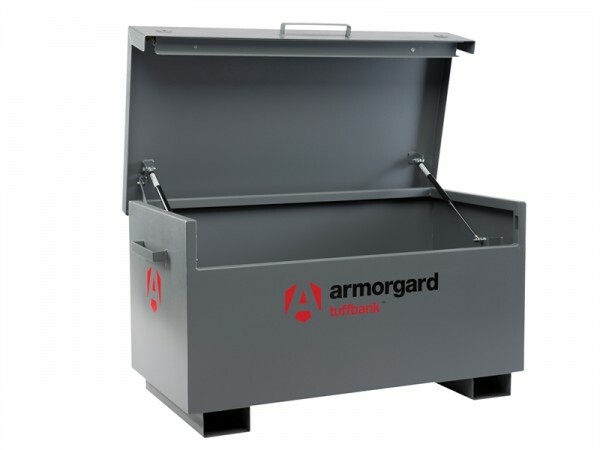 Gas struts on all sizes for easy opening and closing with a continuous heavy-duty, fully-welded hinge and internal lid support stay. External Dimensions: 1275 x 675 x 665mm. Internal Dimensions: 1190 x 605 x 575mm. Weight: 80kg. Internal Dimensions: 1190 x 605 x 575mm.